Are you an entrepreneur looking to express more of your greatness to the world? 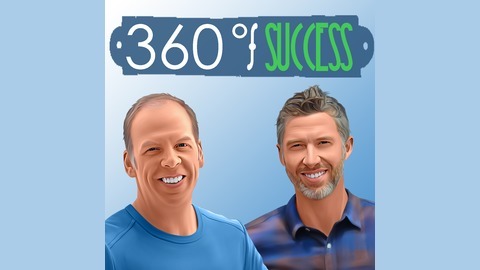 360 Degrees of success is a podcast for conscious leaders and entrepreneurs that gives the ingredients to help you “Win the week & Conquer the Weekend”. Dr Frazer Smith and Dr Jay Breitlow talk to other entrepreneurs about how they have overcome adversity and the tools that give them the best chance for an entire week lived with purpose. Phil Potts is a Nationally Certified Marriage Coach, the director of Renegade Gentlemen Men’s Ministry, and the author of Habits of Heroic Husbands. A decade ago, he found himself at a Chickfil-A marriage retreat, ranking his marriage on a 1-10 scale. The surprise came when he compared his number with his wife’s. They were miles apart, and the news hit him like a bombshell. That was when Phil decided that he would begin fighting for his relationship with his wife, and that he would not stop until he had made it a 10. Phil’s recent book, Habits of Heroic Husbands, is a summary of what he did that actually worked. Along the journey, he left his unfulfilling career as an optometrist to help other men who found themselves in a similar boat. 20 - Sally Guest - Life’s way too short to not absolutely love it! That’s why Sally's mission is to help people unearth their own unique blueprint for crafting a life they love, right now. 19 – Pat McDaniel - Motivation for the entrepreneur is what Pat does now - but his diverse path has taken him thru a variety of careers and challenges first. 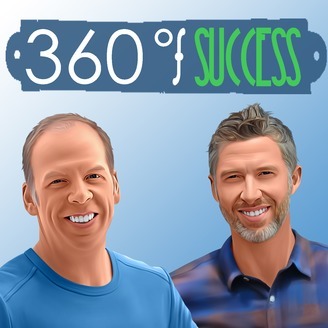 18 – Vi Konkle - Leadership happens at all levels, and the former CEO of "The Brick" talks about what has worked for her in the corporate world. "Leave the world in a better place" is her mantra, and you can tell why!